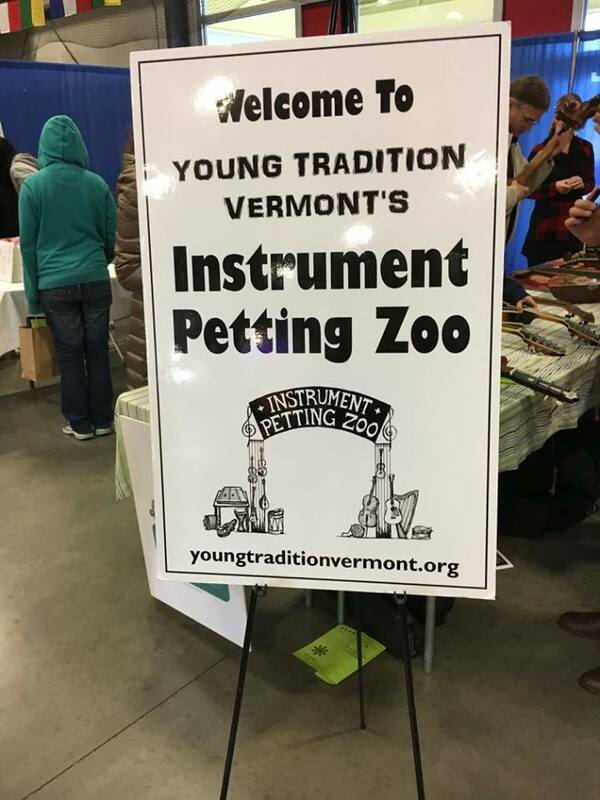 Young Tradition Vermont will be at Smilie Memorial School in Bolton with the Instrument Petting Zoo on 2/22/19. Zoo keepers will include Yasi and Oliver Zeichner and Mark Sustic. This installation is designed for Smilie students only. 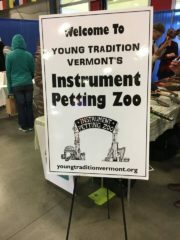 The Instrument Petting Zoo (IPZ) is a collection of instruments with the express purpose of letting people play them: the sign says ‘please touch the instruments!’ Instruments can be the keys that help open doors to the world of music and dance for children, which is at the heart of what Young Tradition Vermont is about. The petting zoo is designed to facilitate the discovery of instruments, the music they can make, and the movement that goes with the music. The zoo includes a variety of traditional acoustic instruments: mostly stringed instruments like fiddles, ukuleles, guitars, banjos, mandolins, autoharps, cellos, basses, etc. Many of the instruments come with a story that we share during installations of the IPZ. For more info contact mark.sustic@gmail.com.